Bernie’s Automotive Service is the best auto repair shop in the Seattle and Ballard areas – and that’s not just our opinion. In addition to great online reviews, most of our customers have been coming to us for years, and happily refer us to friends and neighbors. Not only that, but we were voted Best of Ballard Automotive Service by the Ballard News-Tribune! What makes us the best? We offer unparalleled customer service through our Golden Rules of Customer Service and our Customer Care Program. Not to mention, our superior professional auto repair services, backed by our impressive 36 Month / 36,000 Mile Auto Repair Warranty. Bernie’s Automotive Service cares about the environment, because we live here too! 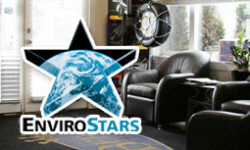 Because of our ongoing efforts to be an eco-friendly auto repair shop, we have been Certified 3 Stars by the EnviroStars program. Click to learn more. Our 36 Month / 36,000 Mile Local and Nationwide Auto Repair Warranty is highly exceptional in the auto repair industry. You can have peace of mind knowing that we stand behind all of our auto repair and service work with our warranty. 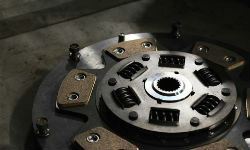 If your clutch is slipping or takes forever to engage, it may be time for an adjustment or a new clutch installation. We offer comprehensive clutch repair and replacement service for both domestic and foreign cars and trucks. Help is there whenever and wherever you need it. Bernie’s Automotive Services offers a Free 24-Hour Nationwide Roadside Assistance Program that gets you to safety in the event of an emergency and covers most common issues. Read why we are the best auto repair shop in Ballard and Seattle! 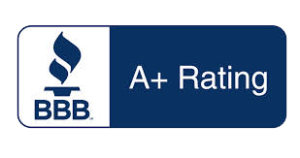 Read our customer’s comments and reviews and see why we were voted Best of Ballard Automotive Service by the Ballard News-Tribune. Would you like to add your comments and reviews? Click on the links below. We love hearing from our customers! Went to Bernie’s to have them put in a new clutch for my Tacoma and drives like a dream! They are spend’y but with the 3yr warranty and great service I give them 5* I would definitely recommend this place and come back for services. I was blown away with the level of detail, patience and professionalism demonstrated by Bernie’s staff. After 10 years of taking my Honda to the dealer, I’ve come to realize that the quality of service from the dealer is sub-par compared to what you get from Bernie. Their prices are competitive and they are trustworthy. Top notch. Bernie’s has been so good to us and the ‘second love of our lives,’ Marge, our 1993 Chevy Camper Van! Super friendly and eager to be helpful. They’ve gotten us out of a bind when I showed up one morning in desperation. I’m normally pretty wary of car repair shops but Bernie’s Automotive restored my faith in them and I have gone back to them many times over the last ten years. Thank you so much for helping the kind folks at HiS with the repairs for those in deep need! You are awesome and I will pass the word to everyone I can! Is your car or truck in need of repair? How about an oil change? Bernie’s has been the number one choice in Seattle for auto repair, brake service, clutch replacement and tune-ups since 1963. 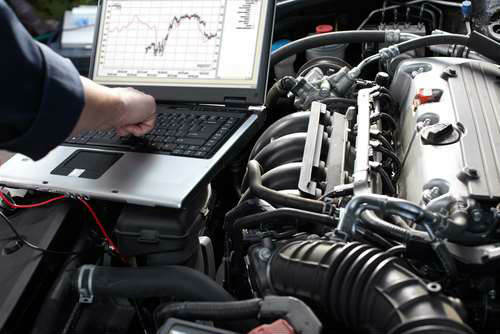 We have modern facilities equipped with the latest diagnostic equipment and car repair technology. Bernie’s Automotive services all makes and models, including Jeep, Honda, Ford, Toyota, Subaru or Chevy – no matter what kind of car you drive, Bernie’s professional ASE Certified Auto Repair Technicians can fix your car and get back you on the road! And, all work is back by our 36 month / 36,000 mile repair warranty. Our ASE Certified auto mechanics are highly trained and expert at diagnosing and repairing all makes and models of foreign and domestic vehicles. Give us a call when you need a tune up, factory scheduled maintenance or a major or minor repair. All work is guaranteed by our 3mos / 36K mile warranty. Need an auto repair, brake service or car tune up? How about an oil change? Whether you own a Jeep, Honda, Subaru, Toyota, Chevy, or Ford – Bernie’s is the number one choice in Seattle and Ballard for auto repair services since 1963. Bernie’s Automotive Services has been serving customers since 1963 at our original location at 4420 Leary Way, NW. In an effort to make our auto repair services more convenient to more people, we’ve recently open a new auto repair shop on NW Market St. Expect the same great customer service and friendly staff at whatever location you choose. Hey Seattle…Are You Looking for Quality, Guaranteed Auto Repair? Why Choose Bernie’s Automotive for Car Repair? Stop by our two locations and see for yourself!